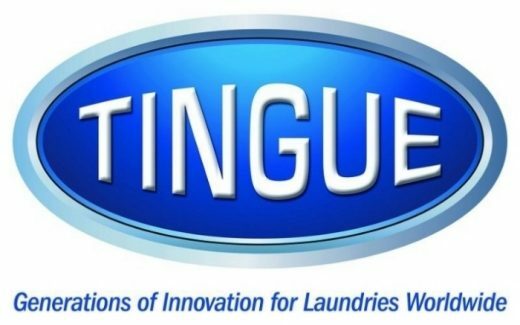 Global laundry product supplier Tingue, Brown & Co. has integrated its sister company Talley Machinery into a new organization consolidating the two, iconic laundry brands as Tingue. Established to present the laundry industry with a single, unified name brand serving as the single source for premium laundry products and equipment and expert services, Tingue now offers access to the former Talley Machinery’s flatwork ironer parts and rebuild services, Maxi-Press membranes and Norman Control equipment via the company’s team of Tingue sales representatives, in addition to offering the ironer supplies, laundry carts and bags, sling system components and accessories from the former Tingue, Brown & Co. The Tingue sales team serves North American laundries with more than 30 representatives who provide expert product specification guidance and skilled, on-site installation services. The new Tingue organization builds on the foundations of two industry-leading companies that share histories spanning more than a century since their founding in 1902. Tingue, Brown & Co. formed as a fine quality felt supplier and became a product development pioneer responsible for introducing the sling systems, molded plastic laundry carts and flatwork ironer products that keep laundries operating to this day. Talley Machinery started as a laundry service before becoming a manufacturer of commercial laundry machinery, parts and equipment. The newly formed Tingue also encompasses laundry cart manufacturer MODRoto, the 16th largest rotational molder in North America, according to Plastics News, consulting firm TBR Associates, dedicated to helping laundries, manufacturers and other companies improve their people, processes and profitability, and Tingue Canada, offering the Tingue product line to Canadian laundries.